Whether or not you believe in global warming or climate change, something strange is definitely happening to our weather. Wild storms are wreaking havoc across Ireland. All 50 US states have recently experienced temperatures below freezing, a rarity for the southern states in particular. The pyramids in Egypt have seen their first snow in 100 years. 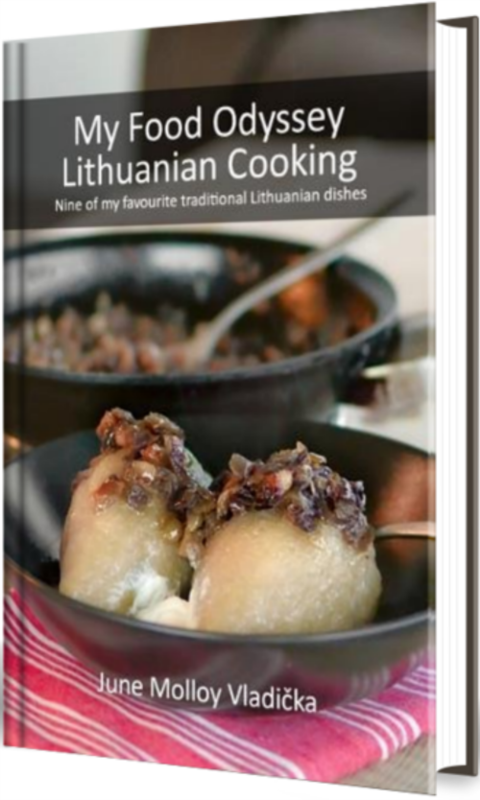 One of the aspects of life in Lithuania that I was really looking forward to was a proper, snowy winter. So far, however, it hasn’t materialised. We had about three days of snow in early December, then a few days of thaw and then what I would describe as standard Irish winter weather – dank and grey and not too cold. But I refuse to be lulled into a false sense of security. I’m expecting the weather to snap any day and temperatures to drop to below minus 20 Celsius. And when they do, I plan to be ready! As part of our move to self-sufficiency I have taken up knitting again after a long hiatus. Before Christmas I made a cosy hat and I am currently working on the matching scarf. 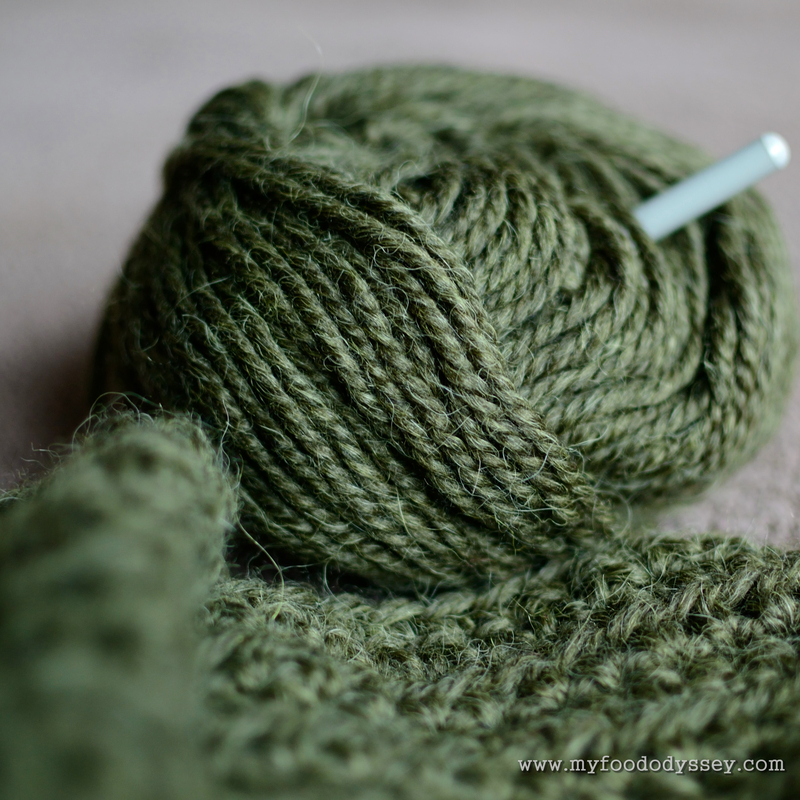 One of my Christmas gifts was a stash of beautiful military-green yarn. It’s soft and chunky and I know it will make an incredibly stylish and cosy sweater. Already I can hear the knitting naysayers – “Why on earth would you want to knit a sweater when you can just walk into a shop and buy one? !” Indeed, there’s a lot to be said for walking into a store and buying a read-made sweater. You can try on different sizes and styles to find one that suits your needs. If you have a somewhat transient wardrobe and like your clothes to be up-to-the-minute, spending hours selecting yarn, sourcing patterns and then creating the garment is probably impractical. I’ve never been particularly interested in fashion. I like to think my style is a bit more earthy and timeless. And I hate clothes shopping intently. Either I can’t find anything I like or I find something I like and then can’t find my size. The wider the selection the more nauseous I become. Within 30 minutes of pure torture I find myself gravitating towards bookshops, music shops and cookware shops. So for me, the option to create something myself, made to measure and using my choice of materials and colours, has a strong appeal. When I was home in October I gathered together my mam’s collection of knitting patterns, knitting needles and surplus wool. She was an avid knitter and collecting knitting patterns was one of her most consuming passions. There are literally hundreds of them. Some of the styles are quite outdated. Some are so far outdated that they’re actually coming back into fashion! 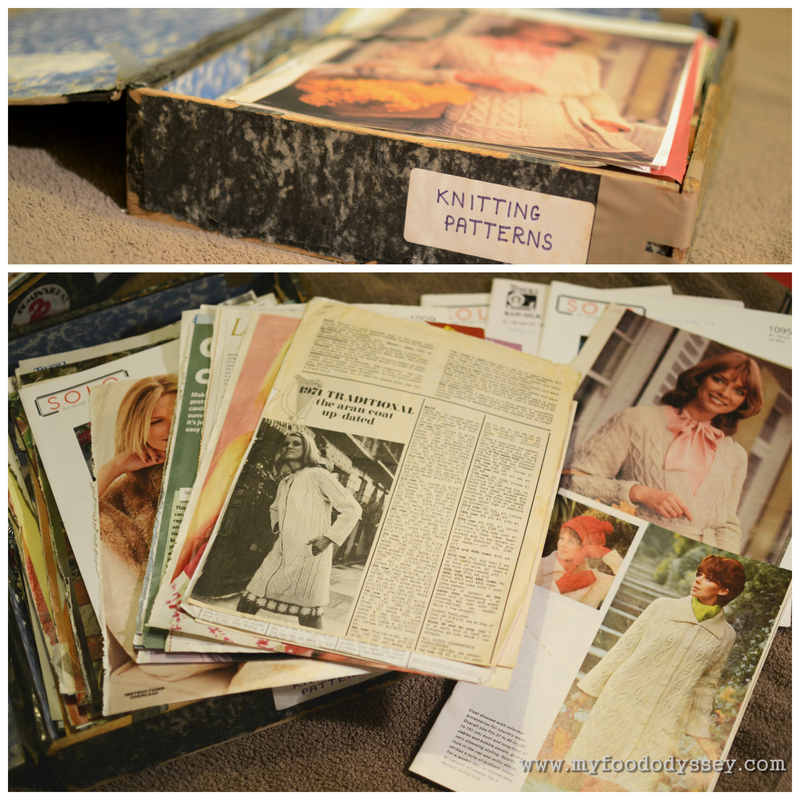 Leafing through the patterns is like a trip down memory lane. Some items were labours of love that she made for herself, some were quick-knits made for us as kids, some my sister and I made for ourselves. Most were made with quality yarns that enjoyed years of use without showing any signs of wear. An Aran cardigan that was knit for my father in the sixties has been worn by my father, my sister, myself and then my husband in succession and is still cosy, comfy and iconic. No high-street item could ever stand the test of time in the same way. Then there’s the wider issue of environmental waste. I reckon we all have too much “stuff” and probably more clothes than we need, but yet we keep buying. While some of us are quite good at donating our unwanted items to charity shops or other willing recipients, much of our “stuff” ultimately ends up in landfill. Just this morning I was reading a wonderful post by fellow blogger Mizzy. Last year, Mizzy took the “Love What You Wear Challenge” and didn’t buy any new clothes for the whole year. Only second-hand, handmade and up-cycled/repurposed garments were allowed. I think this is a wonderful idea and plan to give it a go. So I, for one, am sold. I shall be browsing my mothers collection for many a happy hour before selecting a pattern that meets my needs – quick to knit, cosy and stylish in an earthy, June sort of way. Cheers Lorna! I’ve always found pure wool jumpers a bit itchy, but I don’t think I’m allergic. Does the allergy affect you with your lambs?! Hopefully not. I hope they’re doing better now – they’re so cute! Hey Lorna. Yeh, the book arrived before Christmas and I flew through it – I enjoyed it immensely. Well done you! Make sure you post a pic of those granny squares when you’re finished! J.
Ne, aš Airė, bet aš gyvenu Lietuvojė! No charity shops in Spain, it’s shame. My auntie knits me socks. I have a mighty stash of them. Great for winter! 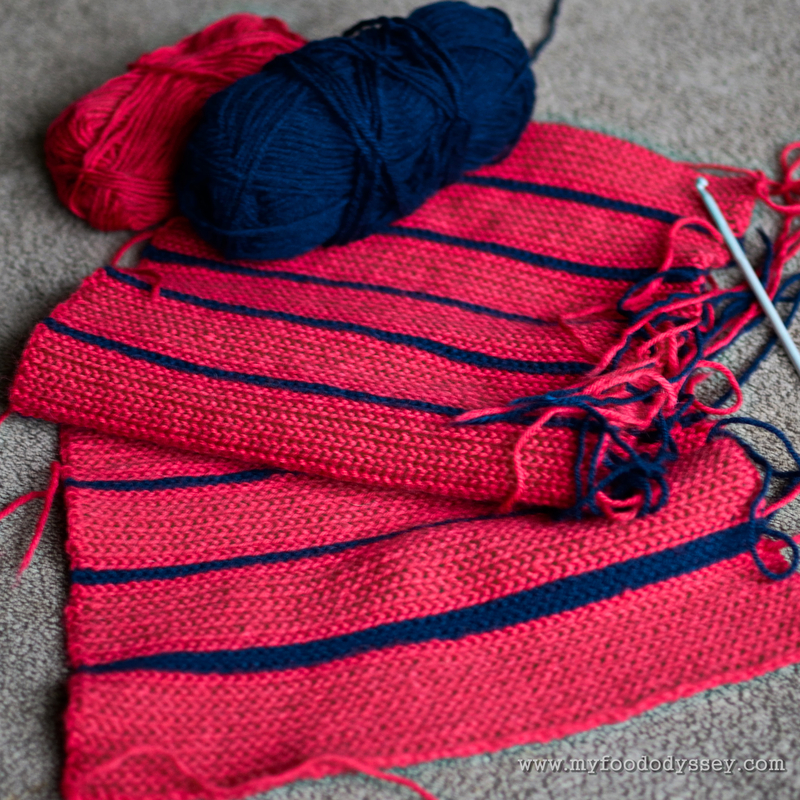 Knitting my own pigs – love it! Can’t believe there are no charity shops in Spain – what a shame. I hate shopping too but I think I would hate knitting more! Fair play to you! The Latvians tell me that snow is coming after the 11th and they’re far more reliable than any forecast! I told you I knew her cousin 😉 Had to follow! Crikey, I’m still not done packing, and I’ve got to be up again in six hours for a stupid early train. I should really not be blogging right now, I should not. But you will 😉 Faffing trumps packing every time! Hadn’t heard that date for the snow, Linda – good to know! Will have to get cracking on my knitting, so!